Every mile is my destination. Every failure is my motivation. Every road is my nation. I'm a rider. I live to ride. Nothing comes between me and my bike. 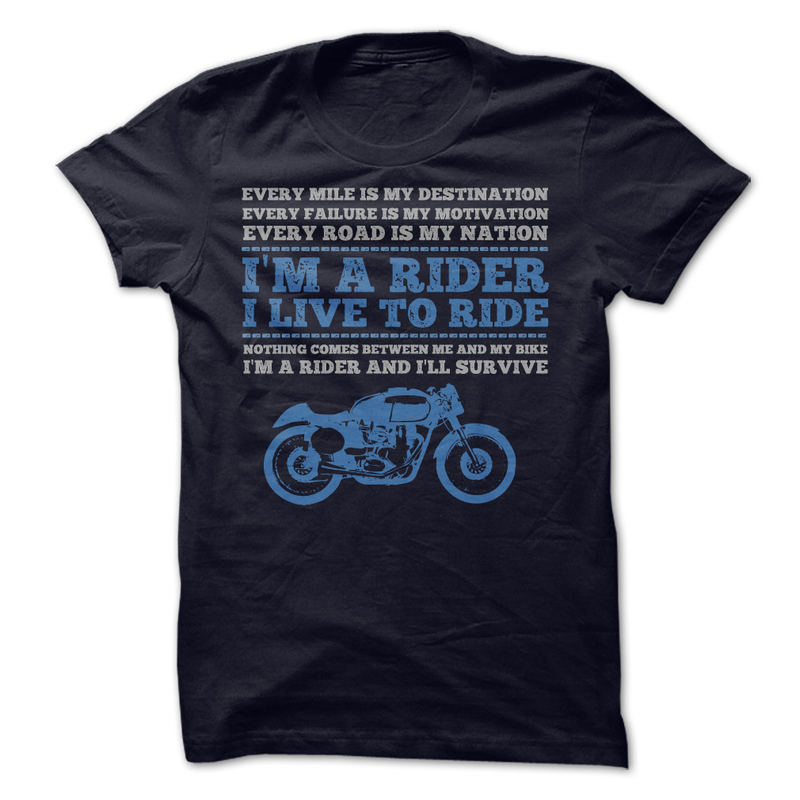 I'm a rider and I'll survive.